Abstract: In orthopedic literature, there is little consensus regarding the best management of slipped capital femoral epiphysis (SCFE). Controversies and disparate trends derive from differences in clinical presentation, various classifications, and a variety of surgical procedures that have been described. Currently, there are no evidence-based recommendations. Surgical procedures vary, and they can be divided into fixation in situ, compensatory osteotomies, and direct corrections of the deformity at the head–neck junction. The first and second group of procedures have so far not gained optimal control over the risk of avascular necrosis or cannot achieve an anatomically aligned epiphysis with normal blood supply. 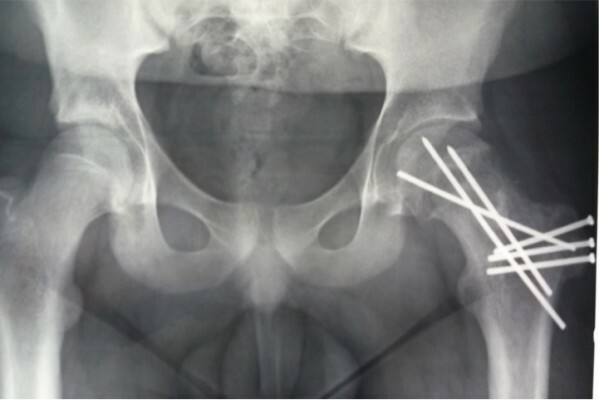 On the other hand, the third technique can achieve this target and prevent residual deformity and the development of early hip arthritis, but it is not widely accepted, because of its surgical complexity. The purpose of this work is to present an overview of current knowledge and provide an orientation on clinical and surgical management of the patient suffering from SCFE.